Learn about our state-of-the-art repair shop and our top-of-the-line equipment. We leave no stone unturned when it comes to making sure we can provide the best service and repairs. From simple fixes to the most complicated repairs to full rebuilds, our team has what it takes to get the job done and to get it done right. Call us when you want a company you can trust. If you're not an engine expert, you'll probably have a few questions. We're happy to answer your questions over the phone or when you come in, or you can check out our FAQ page. 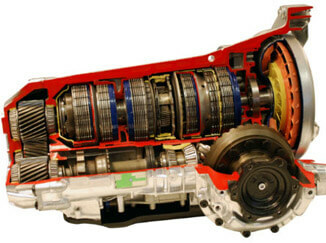 Are you in need of some repair on your transmission or do you need an entire transmission rebuilt? Look no further. 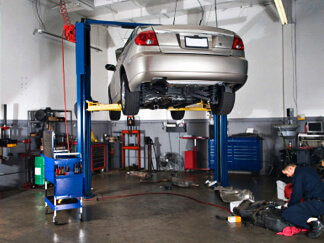 We are the top transmission repair company in Metro Detroit. We have a full shop where we service and rebuild our own transmissions. We overhaul the entire transmission to prevent you from having more problems in the future. If you do have a problem we offer a full warranty on our work and stand behind everything that we do. We have many satisfied customers and we're sure you will be one as well. 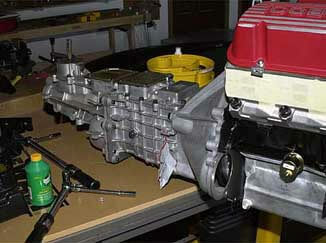 Since we are the most reputable company in the area and we stay busy, we have the most popular transmissions on hand. Instead of waiting days for us to rebuild your transmission then change it out we have transmissions in our stock room ready to go. Because of this and because of our outstanding team, we are fortunate have a very fast turn around time, so you can trust that we'll take care of you and you will be back behind the wheel of your car in it in no time at all. We operate on all transmissions large and small, foreign and domestic. Transmission work requires knowledge and attention to detail, so we're careful to only hire the most experienced people in the business. We take pride in our work so you can rest assured that when you leave us, your car will be fully repaired, running smoothly, and it's going to stay that way! While we most commonly work on personal vehicles, we also regularly do fleet and commercial vehicle repairs. If your vehicle has any type of engine problem, you can count on us to fix or repair it. Don't worry about the cost, because our pricing is very competitive. We service the entire south east Michigan area, so don't hesitate to give us a call or drop on in. Are you unsure of what your car might need? Bring it in for a free diagnostic to tell you what might be wrong with it. That's right, we supply you with a free estimate on the repairs your vehicle needs before we start the work so there won't be any expensive surprises. And, remember, we do offer competitive pricing and we take great pride in the work we do. We accept cash and debit/credit cards for payment. Are you looking to have some other type of work done on your vehicle? We do light auto repairs as well, so we'll get you back on the road in no time. You can count on us for all of your Detroit auto repair needs. In the off chance that your vehicle needs something outside of our expertise, we are more than happy to refer you to a reputable company to do the work. We have companies we work with all the way from tires to to stereo installation to auto glass all the way to auto body repair and painting. Call us and we'll get you set up with the best time to drop off your car. We'll do a full diagnostic and let you know what we find and give you an estimate before we do any work. We'll happily answer all of your questions. Don't hesitate to reach out and ask anything from questions about our business ours to costs to estimated wait times. Call or visit our FAQ page. You won't find better deals or better service at any auto shop. We believe in fair, honest pricing and quality work. We'll do right by you. Our prices are affordable. Copyright © 2018 - Transmission Detroit - All Rights Reserved.